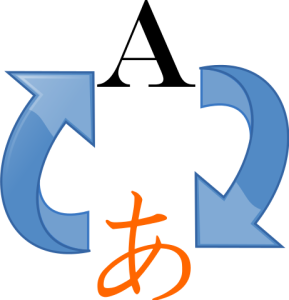 “Icono de traducción” by Rastrojo (D•ES) – trabajo propio a partir de image:View-refresh.svg y image:Japanese Hiragana kyokashotai A.svg. Licensed under GFDL via Wikimedia Commons. Wiki Ed is looking for current translation and language courses to translate Wikipedia articles. These assignments present students with an opportunity to put their skills into public service. Student editors get real-world experience in translating for a broader public while deepening an appreciation for cross-cultural understanding. Finally, it taps into an intrinsic motivation to apply skills beyond the classroom. They know the translation exercise they do will matter long after it’s graded. How does a translation assignment work? It’s actually simple. As a source text, students find a high-quality article on their target-language Wikipedia. They check to see if the corresponding article is on their native-language Wikipedia. If it’s missing or short, they translate the article into their native language. Here’s an example. An English-speaking student studying Spanish would find a Good Article on the Spanish Wikipedia. Then, they would add translated content to the corresponding article on the English Wikipedia. By translating geographic and cultural articles from other parts of the world that are otherwise missing or incomplete, a student at an American or Canadian university can expand English Wikipedia’s diversity of content for millions of people. You can get started right away. We can help you find articles to assign to students, or they can find them on their own. We’ll offer a flexible assignment outline, training materials for student editors, and support during the assignment. We’ve already seen great outcomes from translation assignments in our program. For example, Dr. Julie McDonough Dolmaya’s translation course at York University has added good content to Wikipedia. Other parts of the world have focused on translation assignments, including the Wikipedia Education Program in Egypt and Wiki Borregos in Mexico, and we’d like to replicate their successes by giving more students access to this rewarding assignment. This assignment is a rare opportunity to apply translation to a widely read source of information for people around the world. If you are interested in bringing this opportunity to your students, contact Ryan McGrady at ryan@wikiedu.org.